I am currently available as a web designer, photo finisher, and photographer. I also offer instruction in any of these skills and if you have a good Internet connection, I can work remotely with you in many instances. 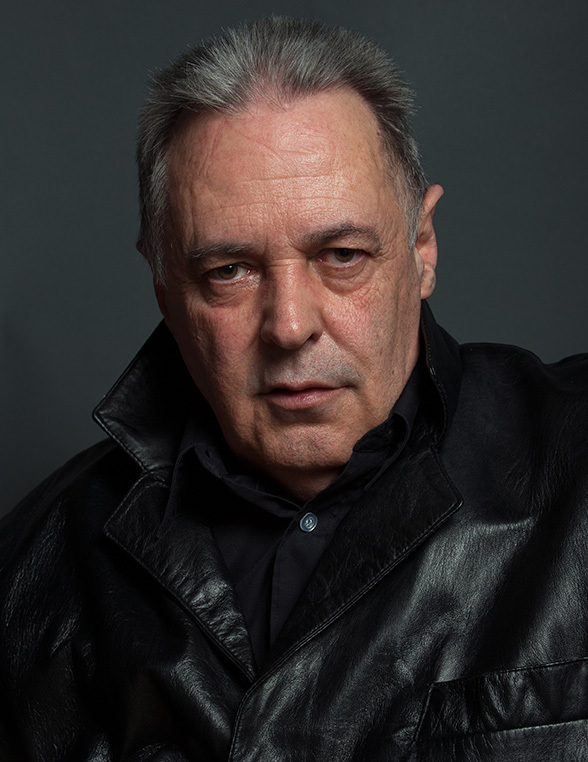 Born in 1946, I left home for London aged just 17, to study photography by working as a photographer’s assistant. Commencing as a messenger boy in a Fashion, Advertising and Food studio, I soon got promoted to assistant to one of the food photographers, Cris Reddington. This studio employed top photographers, including Barry Lategan who took the first photos of Twiggy, and Ian Williams who was a master technician when using large format cameras to shoot food ads. Eric Mandel, a former photography teacher at London Polytechnic, was the senior advertising photographer and taught me all about the finer points of black and white printing and the importance of overall technical quality required in professional work. In December 1966, I was assisting John Cowan in Milan on a shoot for Italian Vogue and decided to stay in order to establish my career as a photographer. I began by shooting model composites while learning the language. In 1967 I shot my first magazine cover aged just 21. I worked in Milan until 1970 when I returned to try and get back in to the London fashion scene. Alas, a gap of four years proved too much and I found it impossible to start where I had left off. I returned to my home roots in Sussex, taking whatever local photographic work I could find and working part time as a freelance feature photographer for the Evening Argus. In 1965, I approached top fashion photographer John Cowan. J.C. already had an assistant at the time, but was impressed enough by my enthusiasm and print quality to offer me a casual position as darkroom technician and second assistant. I worked for Cowan most days, but also freelanced as an assistant to other photographers and studios. This work included photography for car brochures shot on location, and room set photography for mail order catalogues. This work involved large 8 x 10 and 4 x 5 format cameras, where the work had to be of the highest technical quality. This period contributed greatly to my overall photographic experience. John Cowan was a generous sort and allowed me to use the studio in the evenings to shoot test shots and composites for aspiring models and build up my own portfolio. This generosity even extended to allowing me to draw from the studio film stock and printing paper. A welcome supplement to an assistants low pay! 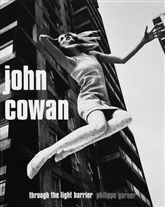 To learn more about this fascinating fashion period during the 60′s, you could purchase ‘Through The Light Barrier’, the story of John Cowan who sadly died from cancer in 1979 aged only 50. Many of the images were printed by myself and the book is available at my Amazon Store in the books section. This is a quote from the jacket of the book…. Six feet four and described by Terence Donovan as a “Guildford version of the Marlboro man”, it seems entirely fitting that Cowan’s studio and images should have provided the location for Antonioni’s classic sixties film Blow-Up. Conversely Cowan himself seems to have been equally influenced by the cinema: using stylistic devices from the cult James Bond films of the time and for a period driving his own Aston Martin. Garner however, in producing a rounded biography of Cowan’s career, does his duty to the full in giving equal regard to the imperfections within his character. Fashion, a fickle bedfellow at the best of times, was sponsor, passport and nemesis for this tragic hero, although a cruel irony can be found in the fact that it was cancer, rather than his acts of daring do, that eventually put an end to this roman candle career. A fascinating and important book for all interested in the rise of the medium in this country and a worthy epitaph to a fine, much overlooked, photographer. I married Denise in 1975 and in order to pay the bills, gave up photography for a while. In my spare time, I took a course in electronics, (something that has always interested me) and established myself as an electronics repair technician. In 1987 we moved back to London with our two children, Adam and Emma. In 1988 I became the technical trouble-shooter for South Bank Studios, undertaking all electronic repairs in house. The studios specialised in hiring space and equipment, including electronic flash, to car photographers and pop video production companies. It was my job to keep everything technical, working and serviceable. In 1992 I left South Bank and began writing computer code for a pet project – horse racing analysis software, Speedmaster. This was an experiment to start with, but as luck would have it, the project grew and before long, there was a queue of people who wanted to buy into my technology. The software won awards and by 1996, it became the market leader amongst horse race analysis programs. Those 12 fantastic years taught me everything about IT from the ground up, and I was selling my product over the internet long before the bookies knew what the Internet was! I had a loyal customer base and dealt with each client on a personal level. In 2004 I traded the rights of the program and assisted in establishing the software as an on line web product as opposed to a desktop download. Those 12 years of front line computer experience have helped me understand computers as an essential tool, not least in photography. I have kept very much abreast with all disciplines of IT since, and am knowledgeable in most aspects of control that govern the delivery of image quality. Although retired from the rat race, I enjoy photography more than ever. I use a digital camera with the digital darkroom. No mess, no liquids, no fuss. If you are a model looking for test shots for your portfolio, or if you are keen to learn about photography, feel welcome to CONTACT ME. Who knows, maybe I can help you construct your first website and carve out a career!